John Tchicai was a progressive, adventurous musician who approached jazz from a wide scope all his life. Born in Copenhagen, Denmark in 1936, to a Danish mother and a Congolese father, John Martin Tchicai played an important role in the jazz avant-garde of New York in the ’60s and became a father-figure in the European improvised music world after that. By a single-mindedness of purpose and action, his innovative work inspired many people in a most refreshing way. After a stroke in June of 2012, John passed away peacefully in the fall of the same year. John started out by playing the violin, but picked up the alto saxophone and the clarinet at age 16. He attended the Conservatory of Music in Aarhus, Denmark, for two years, and started playing gigs at the same time. In his twenties and thirties he began using other instruments like bamboo flutes, bass clarinet, soprano saxophone and percussion. From his mid-forties on, he often played tenor saxophone. Keyboards and sequencers were his favorite tools for composing. John started exploring the Danish and Northern European jazz-scene in the late ’50s and early ’60s. He moved to New York City in 1962 where, in the 4 years that followed, he recorded on 11 albums (a.o. “Mohawk”, “Ascension” with John Coltrane, “New York Eye and Ear Control” with Albert Ayler), co-founded two ensembles (“New York Contemporary Five” and “New York Art Quartet”) which he toured Europe with, and he was a member of “The Jazz Composers Guild”. He moved back to Denmark in ’66 where he co-founded “Cadentia Nova Danica”, at one time a 30-piece ensemble which recorded “Afrodisiaca”. In the ’70s, John discovered hatha yoga and meditation which became lifelong focusing points in his spiritual development. He performed less often in this period, but taught elementary schools, composed, and led workshops. By the ’80s, he had picked up touring and recording internationally again, and traveled through Europe, to India, Japan and Africa, performing with his own groups (e.g. with “John Tchicai & the Strange Brothers”) or as a sideman. In 1991 John moved to California and founded “John Tchicai and the Archetypes”, a 7-piece band that fused afro-jazz with blues-rock. He taught workshops in schools and in prisons, composed and worked on new projects. In 2001 he settled in the South of France. John kept composing, traveling and performing until the early summer of 2012. Jazz magazine Downbeat placed John’s photo on its cover in March of 1966, and stated he was “a calm member of the avant-garde who stands out, musically and personally”. In 1977, he was the first jazz-musician to receive a three year-composing stipend from the Danish Ministry of Culture, and in 1990, he received a lifetime-grant from the same Ministry. In the U.S., the California Arts Council named him Artist-in-Residence in ’96-’97, and the National Endowment for the Arts awarded him a fellowship for composition in 1997. In 2005, he won the “Gaffelprisen” from his old hometown of Arhus, Denmark. 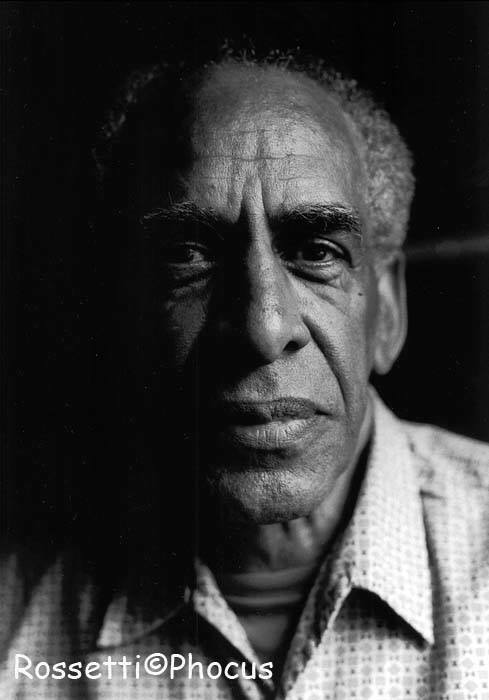 It was important for John Tchicai to reach a balance between composition and improvisation, and his many compositions, who have a highly rhythmic and poetic melodic-lyrical quality, always offer space for improvisation, for a creation “in the moment”. Poetry and audience-participation were often part of a Tchicai-performance. John composed for his own ensembles, but also for other jazz, and for classically trained ensembles: a.o. for wind-orchestra, for three celli + jazz quartet, for strings- and winds double quintet, percussion ensemble and symphony orchestra. The music of various world cultures (African, Oriental, etc.) were an important source of inspiration. John worked with and was peer to the greats in the field of “jazz” music. To name but a few, he played with John Coltrane, Don Cherry, Archie Shepp, Johnny Dyani, Roswell Rudd, Albert Ayler, Dollar Brand, Makaya Ntshoko, Pierre Dørge, Irene Schweitzer, Misha Mengelberg, Lee Konitz, Cecil Taylor, and he performed and recorded with John Lennon/Yoko Ono. He performed at festivals, conservatoria, in churches, schools and concert halls from Bombay and Kyoto in the East to Vancouver and Seattle in the West; from Conacry, Guinea, Africa in the South to Reykjavik, Iceland, in the North. John’s extensive discography contains many albums made as a leader (with “New York Contemporary Five”, “New York Art Quartet”, “Cadentia Nova Danica”, with several versions of a “John Tchicai Trio”, “John Tchicai & the Archetypes”), and many made as a sideman (with “Pierre Dorge & the New Jungle Orchestra”, a Danish Ellington-African inspired big band, with South African bassist Johnny Dyani’s group “Witchdoctor’s Son”, with Faroe Islands-pianist Kristian Blak’s group “Yggdrasil”, with Dutch saxophone sextet “The Six Winds”, etc. ), but he also took part in collaborations with artists of disciplines other than music (e.g. with poets Amiri Baraka, John Stewart, David Gitin, with painters, actors and dancers). He composed for film, theatre plays and video-projects. In the same patient, positive way that John treated musical material, he treated people. His vast teaching experience was accumulated through being a music teacher in elementary schools, teaching private lessons and international workshops for all kinds of musicians no matter their backgrounds or “level”, through workshops in prisons and masterclasses at conservatories. His book for music students, “Advice to Improvisers”, with compositions and exercices for all instruments, was published in ’87 for Edition Wilhelm Hansen. For a bibliography on John Tchicai, see “Fire Music”, a bibliography of New Jazz by John Gray, ref. coll. #31, Greenwood Press.